Hello! Back with a simple yet striking look--something I've had on my idea list for a while; a French tip look with similar colours in different finishes. 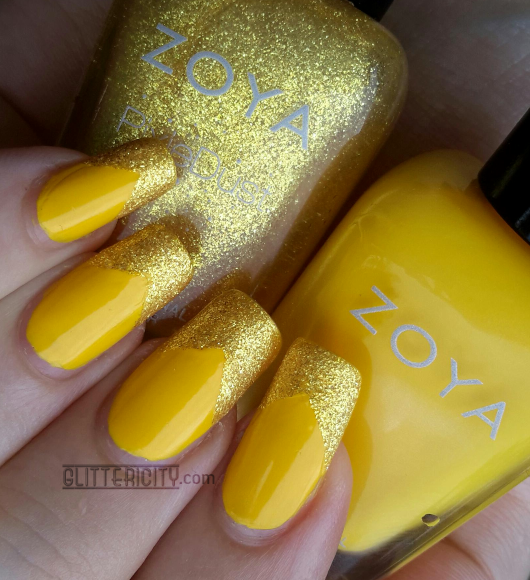 I went with bright cheery yellow and reached for two Zoyas! Not much I need to explain as far as technique! The creme (well, it has a tiny bit of shimmer, but basially a creme) is Darcy, and she needed three coats for opacity. 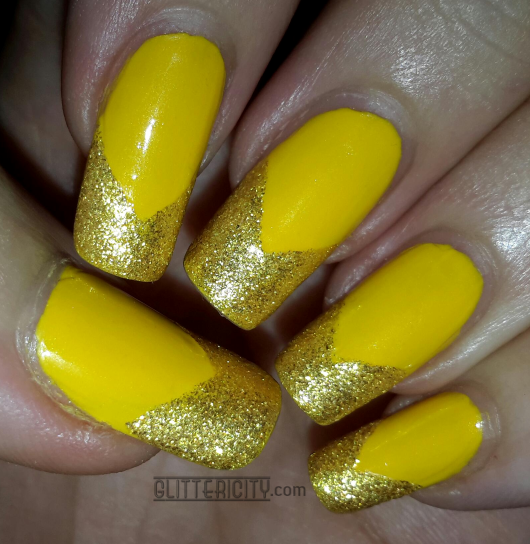 The tips are two coats of Solange, the matching Pixie Dust shade. Don't they look great together? I hope you like this one! 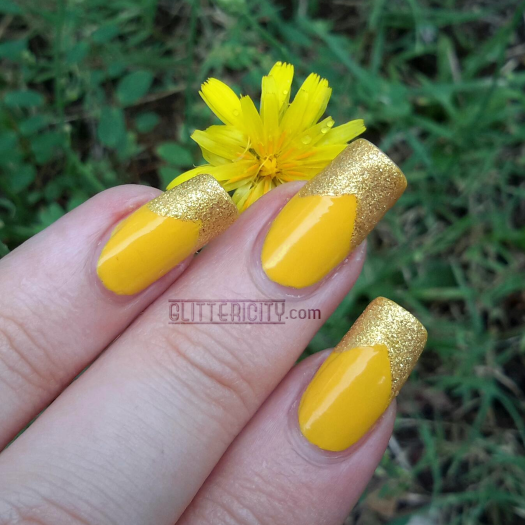 It's a rainy day, but my dandelion-coloured nails are brightening everything up :) Do you like this look? I might try it again sometime with a different colour--I think it would look good with any hue! 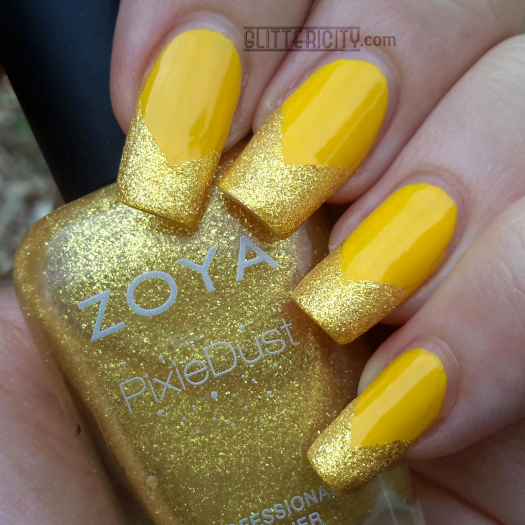 Loving the yellow! I had a yellow polish in my hand the other day but I was like Nadine you dont need anymore!!! Now I want to go back and get it!